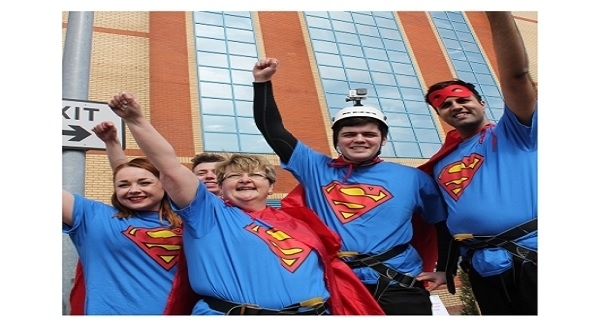 Taking place on Friday 5 April 2019 at The Sandman Signature Hotel in Crawley, grab your colleagues and tackle a 100ft abseil in support of local people living with a terminal illness. Whether you're a team of 2 or 20, join us for a fantastic team building challenge you'll never forget. Enter a team of four or more and your boss can abseil for FREE! Give the complimentary place to anyone in your company; your chief executive, director, manager...and ask them to go over the edge for St Catherine's! Registration is now open! All you need to do to sign up is pay a non-refundable £25 per person deposit and raise a minimum of £195 sponsorship.